Occupying a full city block, this eye-catching architectural building on 6th and Kenmore is hard to miss. The iron sign atop Chapman Plaza reads “Chapman Market,” which was the original name. 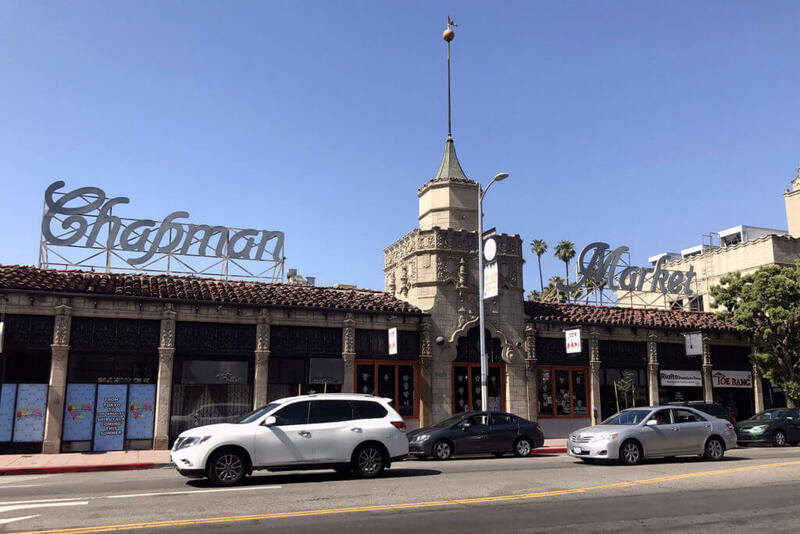 Built in 1929, the design is Spanish Baroque revival style and was first built as a drive-through grocery store with a courtyard that served wealthy families from nearby Hancock Park, Windsor Square and Fremont Place, and those who visited the infamous Ambassador Hotel. Now it is a gathering place where eateries and shops face inward to the small parking lot.